Are you coming to California? Most tourists visiting California may not even consider visiting Baja California. But you will really be missing out on a lot if you don’t visit this beautiful part of the world. Plus, how nice would it be to include a part of Mexico in your travels, without having to travel very far? Baja California is the most northern part of Mexico, and is bordered by the Pacific Ocean, Sonora, Arizona, the Gulf of California, Baja California Sur and, of course, the wonderfully sunny U.S. state of California. The capital city of Baja California is Mexicali, though Tijuana is also a big city. Mexicali is found right on the Californian border; its neighbor being Calexico. So, you could attend the yearly ‘Mariachi’ festival in March in Calexico, and then make your way down to Mexicali, where you can have all kinds of fun, from shopping to bar-hopping. Tijuana, the sister city of San Diego, is the western most city of Latin America. The terrain of Tijuana is beautifully rough, with many canyons dotted across the land. 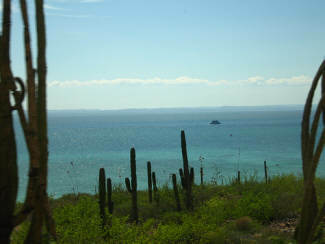 Baja California has a wide variety of terrain types; from beaches to mountains to forests and deserts. The highest point is the Picacho Del Diablo in the Sierra de Baja California. The mountain range of the Sierra de Baja California acts as a bit of a divider and the cause of different climates on the peninsula. In the south, the weather is dry, and this is where the Vizcaino Desert is found. In the northwest, the climate is Mediterranean. In the center, there are lots of valleys to be found, such as Valle de Guadalupe. Then, to the east there is the Sonoran Desert, where, of course, the air is hot and dry. Baja California has two sea shores, one bordering the Pacific Ocean and the other meeting Gulf of California. There are a great many things to see and do in this beautiful part of Mexico. The cities are interesting, quite a bit cheaper than the States, and people are very friendly. The amount of activities that you can get up to could keep you there for a long time, if you’re not careful. Diving, fishing, whale watching, kayaking, wind-surfing, cycling, golf, hiking, snorkeling and sailing can all be items on your trip itinerary. Then, don’t forget the many festivals that take place; Carnival, the Baja 1,000 and various other fiestas. You won’t get bored in Baja California, and you may not want to return home at all. Went to an island on the Sea of Cortez on the BAJA. A totally isolated area. Was gorgeous. Just below Loredo. I believe it is call San Costa Mesa but not sure. Saw sea lion, black and white whates. Me & my wife took a romatic drive down the Baja Peninsula. It was just me & her... we left the kids with my parents. Once of the most relaxing moments of my life. The peace & tranquillity was in full display. Another outstanding place to purchase auto insurance is from Geoff Hill at BajaBound Insurance, e-mail: geoff@bajabound.com. My son just used them and they did a great job! You should really mention Imperial, El Centro, or the Imperial Valley. Calexico is a part of "The Valley", and that is where I am from. In Imperial there Is one of the only Dive-in movie theaters left in the country.